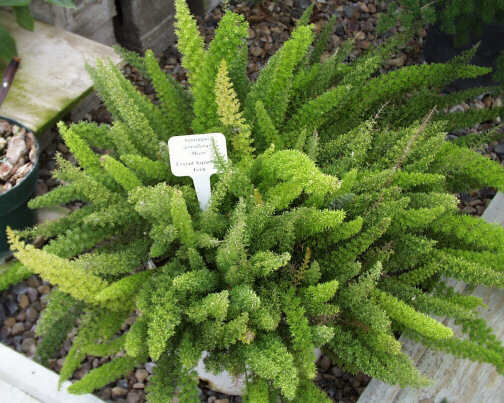 Asparagus Fern (Asparagus densiflorus 'Sprengeri')- Buy it Now! Asparagus Fern (Asparagus densiflorus 'Sprengeri')- 2 to 3 feet tall, Also called emerald feather or emerald fern, this foliage house plant has feathery, drooping stems that have small, needle-like, green leaves. The trailing stems look nice in a hanging basket. Also a good plant in containers mixed with summer annuals. A live plant in a 3" pot - $12 each or 3 for $34.20 - You save $1.80!